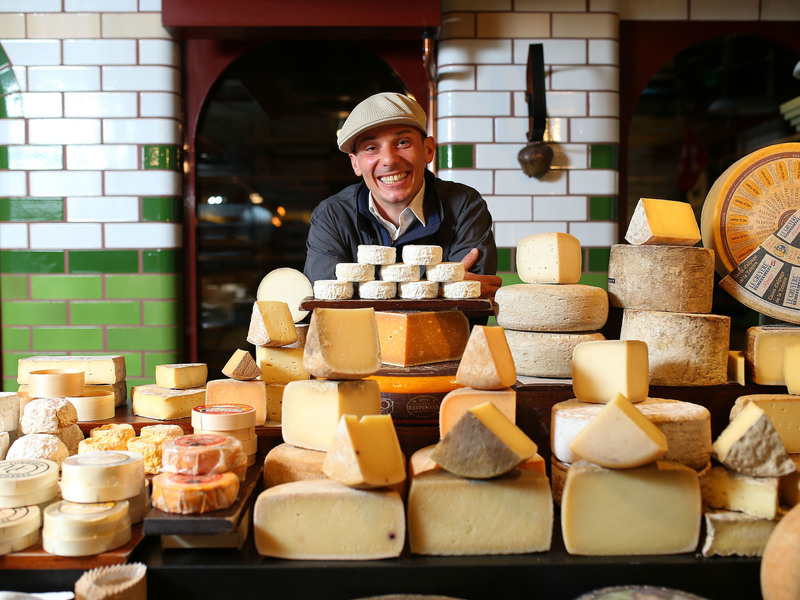 Blessed are the cheesemakers, for they furnish us with tasty and exotic morsels to take home or sample in-store. 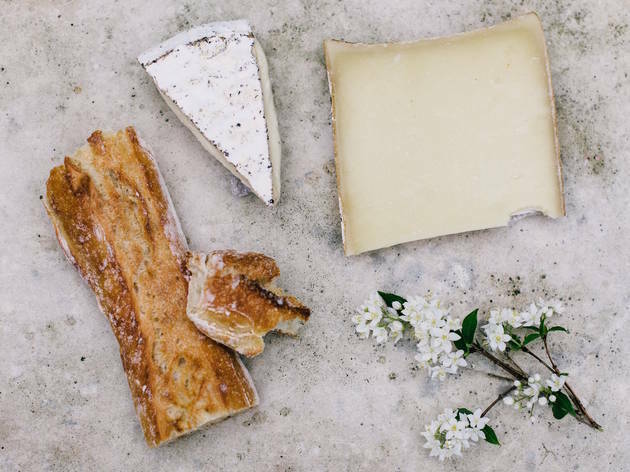 Even if you're lactose intolerant, it's hard not to love cheese – think about how much better it makes just about every meal (nachos without cheese? No thanks). Check out our favourite places to pick up a wedge or a wheel or two. 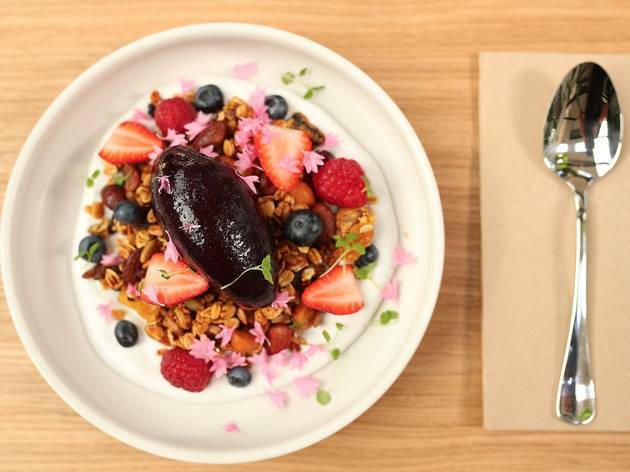 Then, head to one of Melbourne's best cafés and see of you can't pick yourself up a cheese toastie, or check out these pizza joints for some stringy-mozzarella delight en route to your home-cheese enjoyment. 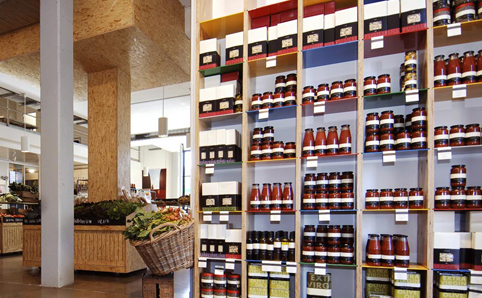 A two-decade fixture of Victoria Market, Bill’s Farm is located on the fruit and vegetable side of the deli hall. A former secondary school mathematics teacher, Bill is the bee’s knees of cheese, being a qualified cheese grader and dairy judge. 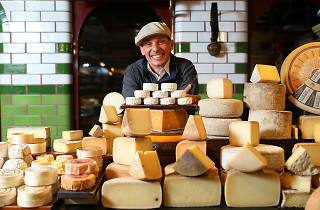 His shop has European and Australian cheeses plus plenty of smallgoods to enrich your dairy experience. Grab some Holy Goat; perhaps the wrinkly, citrussy La Luna, or the cute-as-a-button, bite-sized, velvety Piccolo. In the middle of Spring Street Grocer is a spiral staircase that leads to the most glorious cheese bunker, where a squidgy goat’s milk cheese infused with the particularly herbaceous flavour of thyme is the outcome of a collaboration with Gippsland cheesemaker Burke Brandon. 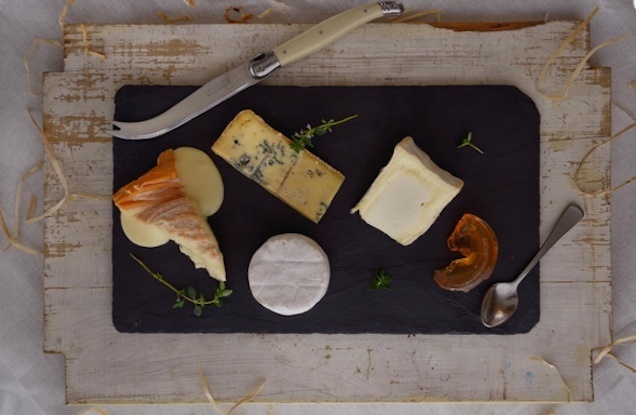 Among the cheddar treasures, a prize-winning Bay of Fires Tasmanian ($8.85 per 100g) with a subtle smokiness makes for easy eating. Grab a baguette on the way out and set yourself up in the Fitzroy Gardens. 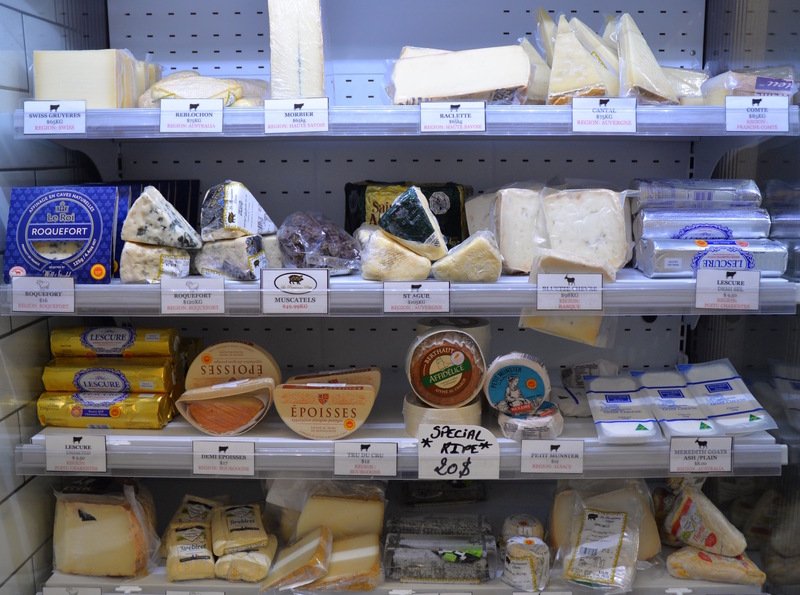 With one of the biggest selections of cheese in Melbourne, the Cheese Shop Deli range is diverse, and around 80 per cent imported. Among the trove is the fast-selling Il Forteto, an earthy Tuscan pecorino stuffed with shaved truffle. 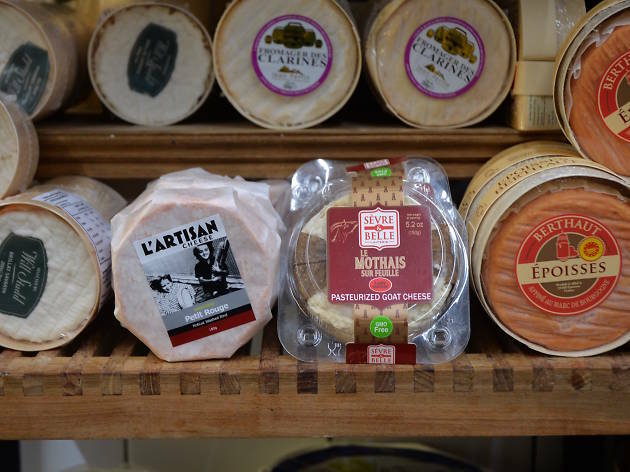 On the domestic side, “import replacement cheeses” like the Victorian-produced washed rind L’Artisan Mountain Man are choice picks. This popular South Melbourne Market deli has been lovingly watched over for 33 years by owner and head cheese expert Maria Totos. 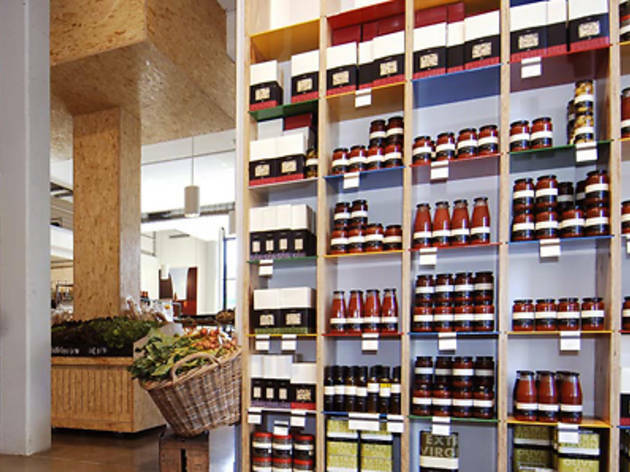 The impressive walk-in cellar has rustic wooden shelves stacked high with some 200 cheese varieties. But Maria's greatest dairy achievement is one of her own creation: a sweet, pungent chocolate blue that she prepares from her own secret dry-rub cocoa recipe. The flavour is bold and savoury with a hint of sweetness from the chocolate. The deli also sells a slew of store-made products and antipasto. Expect queues. The dairy devout can worship at La Latteria, a temple to cheese, with an added ‘mozzarella laboratory’. Try one of the snowy-white orbs bobbing in brine – perhaps a buffalo mozzarella or bocconcini – which they’ll package up in a plastic bag like a goldfish you won at the fair. The voluptuous fior di latte is creamy and delicate; team it with basil and in-season tomatoes and you’ll be transported to Capri. Unhomogenised milk (yes, with the cream top) and natural yoghurts make La Latteria all the more compelling. Once inside the stylish, temperature-controlled cheese cellar and maturation room, it's clear to see these guys are serious about cheese. 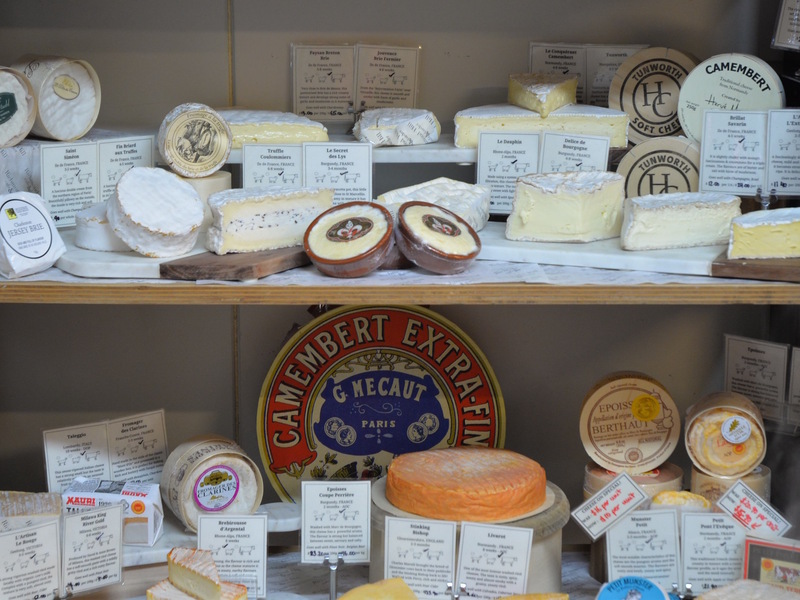 While comté is a staff favourite, the larder’s curated foreign and domestic range works for many tastes. Their creamy sheep’s milk ossau iraty is a knockout. The lunchtime chicken schnitzel is served with a nice sprinkle of grated truffle pecorino; the more cheese-centric breakfast croque madame makes good use of the larder’s gruyère and parmesan. 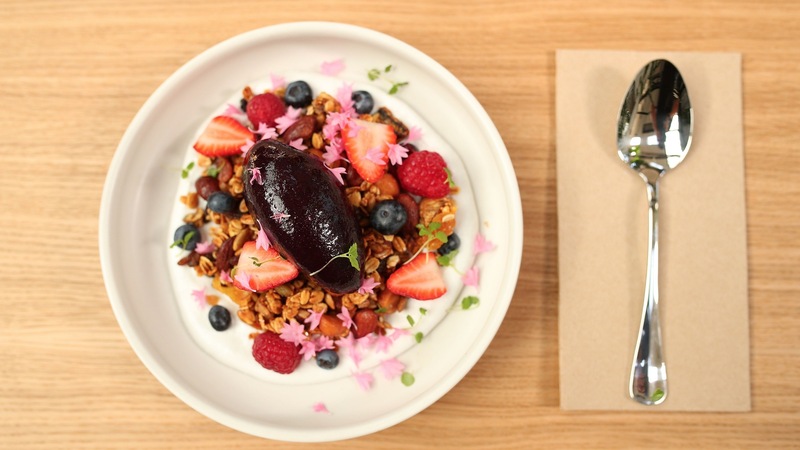 Milk the Cow St Kilda, Melbourne's favourite licensed fromagerie, has spread its delicious wings and opened a second venue in Calrton. 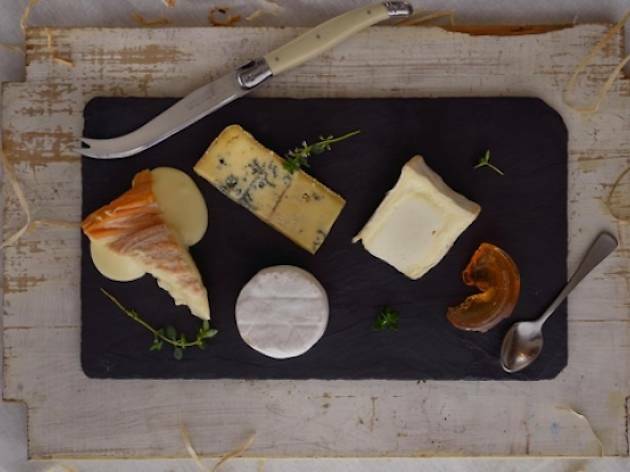 There's nothing much that can beat some good cheese and wine, and these guys do that and so much more – cheese fondue, cheese boards and cheese flights with matched wines, beers, sake and spirits. 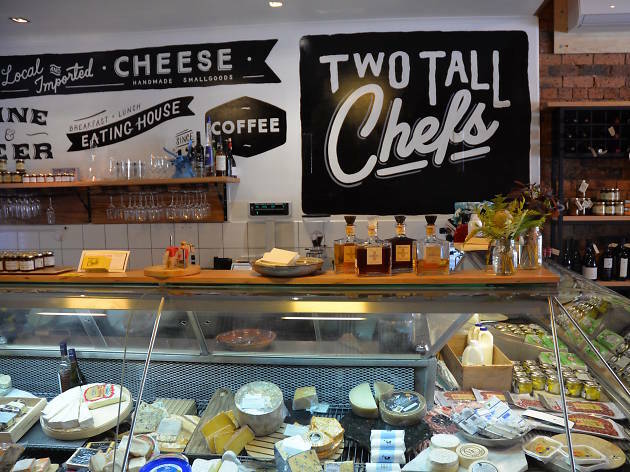 This Carlton North cheese shop and café has proven a worthy successor to the building’s former tenant, the Milawa Cheese Factory. Despite demand for European cheese, Hudson tries to keep at least half of his inventory Australian and isn’t afraid to explore new tastes. The Shepperton-produced Locheilan Triple – one of the few cheeses Hudson consistently orders – is quite possibly the creamiest food item in Australia. This small Essendon cheese shop inside the Prince Wine Store is well worth the Myki top-up. 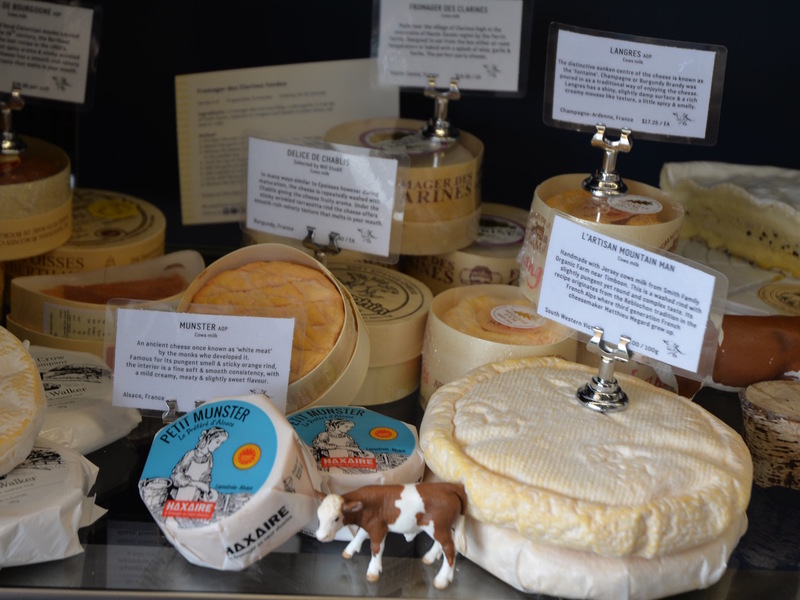 Owner and cheese connoisseur Olivia Sutton offers a concise range with a strong emphasis on local producers. In fact, Sutton is so passionate about local cheese that she often spends her weekends at farmers’ markets serving up raclette and toasted sandwiches, all made with Victorian cheese. Store favourites include the Yarra Valley Stone & Crow Night Walker, a cow’s milk washed rind Sutton says can’t be found anywhere else in Melbourne. The vast majority of the 40-strong cheese collection is French, carefully selected to pair with the the equally impressive range of charcuterie and antipasto. The gruyère and saucisson sec work well for a full-flavoured, savoury pairing, while the popular D’Affinois Brie is perfect for a good slathering onto a baguette. Decent mother-of-pearl caviar spoons aren’t easy to come by these days. Thank goodness there’s one well-known provedore where you’ll never want for paella pans, jars of wild thyme honey, assorted nectars and truffle oils. 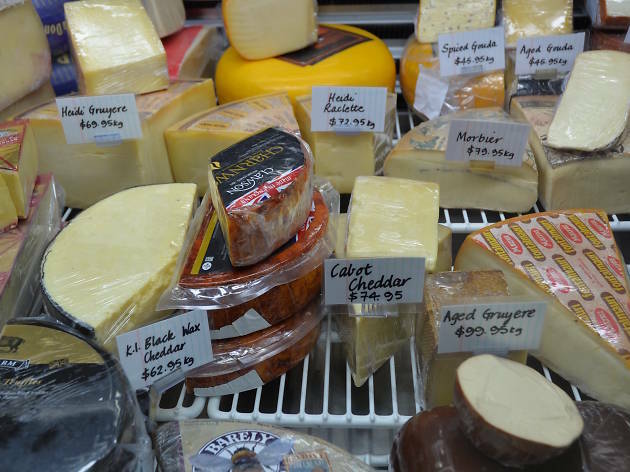 The Australian-owned boutique has its own temperature-controlled cheese fridge. Not sure you know what to buy? No problem. The shop hosts free tastings every Saturday with some of the select favourites and lets you try before you buy if you're ever in need of help. Tony Nicolini’s deli is a trove of imported and locally produced Italian smallgoods – cured meats, sausages, pasta, candied fruit, aged balsamic vinegar and biscotti. Imagine the spread you could assemble here, picnicophiles... But let’s not forget the cheese. 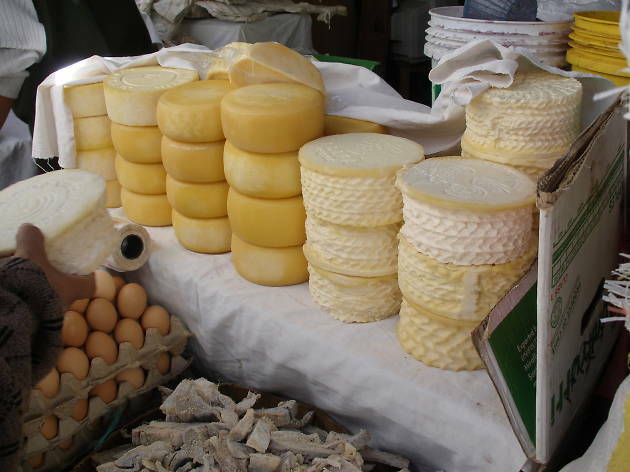 Although pecorino, a hard cheese made from ewes’ milk, is the speciality here, it’s the hunky chunks of freshly cut Parmigiano-Reggiano that walk out the door.